BRATTON…R.U.I.N. Real estate Under Intense Negotiation (our numerous development battles). GREENSITE…5G and a great Planning Commission meeting. KROHN…another closed session, affordable housing, City legal services, Harvey West Pool, Ice Raids/Homeland Security, Camp Ross, Council Community Group. STEINBRUNER…Harbor Village meeting, Affordable and the general plan, Kaiser Permanente Building/Live Oak. PATTON…talks about Alexandria Ocasio-Cortez. EAGAN…Subconscious strings and Deeper Cover. JENSEN…The Wedding Guest. 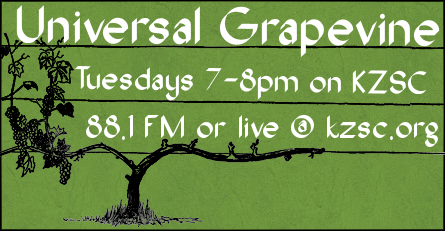 BRATTON…critiques The Wedding Guest and Gaspar Noe’s Climax UNIVERSAL GRAPEVINE GUEST LINEUP. QUOTES…from Donald Trump. BANK OF ITALY – NEW LEAF BUILDING. Built in 1929 by architect Henry J. Minton, this grand edifice won a battle in 1977 against developers who wanted to tear it down. It became New Leaf Market way back in 1995! LOGOS BOOKS & RECORDS CLOSING 9/16/17. LIP READING AT TRUMPS INAUGURATION. “R.U.I.N.” REALESTATE UNDER INTENSE NEGOTIATION. I had a lofty plan for this week’s column. Due to our last Santa Cruz City Council majority, and a really permissive County Board of Supervisors, we now have more and larger developments being built and proposed than almost any time in our history. I planned to organize, list, and expose as many of these developments as possible — and then with your help keep tabs on them. It was too big a job to do in one week. So I’ve “printed” as many developments as I could get info together on while still meeting my DEADLINE, which is Monday afternoon. Please read these over, send me any/all new news you have on each one (bratton@cruzio.com). We need to realize the enormity and scope of what’s going on in our Town and County. More on this as soon as possible. PACIFIC & FRONT PROJECT. Devcon Developers and contractors, with Owen Lawlor as the go between. It was approved in December at the old City Council’s last meeting. (Very careful plotting here). There will 205 Units. No “affordable” units. 2 Floors of underground parking. Robert Singleton Planning Commissioner supports this one. QUAIL TERRACE. OCEAN STREET EXTENSION. Errett Circle (Circle Church) aka. Garfield Park Church. Preserve historic church and neighborhood. The church is has long been a very active community event center. We’ll have to watch Drew Glover’s vote on this one. He’s long time friends with Chris Drury, the property developer. HARBOR VILLAGE. 7th and Brommer streets. 8.3 ACRES. 40 room hotel. 35 residential units. 265 PARKING SPACES. Harbor Neighbors vs. Swenson Builders Ryan Coonerty’s District. 5940 SOQUEL. Four stories high, 720 car parking. 50-60 Doctors. Getting water from Santa Cruz City. Supervisor John Leopold’s district. Leopold has said the traffic will be a problem, and that the frontage road doesn’t work. It’ll be a 150,000 sq.ft. building. John Swift is the local consultant. Pacific Medical Buildings of San Diego are the developers. Sometimes the unexpected happens. Sometimes there is nothing to share but praise. Such was the case at the city Planning Commission meeting on March 14th. The topic for this special meeting concerned 5G, the “fifth generation” technology that will allow for much faster mobile wireless connections than the current 4G allows. It has the capacity to handle the upsurge in wireless needs anticipated for the near future. Since 5G Technology uses a higher-frequency band of the wireless spectrum it requires many more, smaller antennae spaced closer together than previous wireless generations, coming soon to your neighborhood. State and local control over such technology is limited by the federal government under the Telecommunications Act of 1996, which prohibits local regulation of the placement, construction and modification of personal wireless service facilities on the basis of environmental (or health) effects. 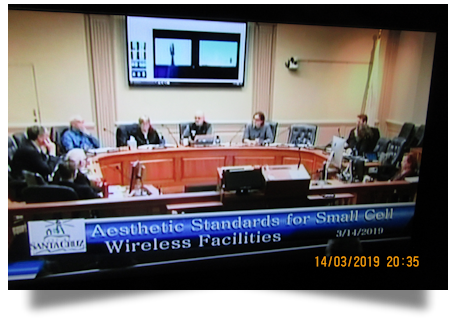 At the meeting, only aesthetic standards for 5G were to be decided upon whereas the many members of the public in attendance wanted to speak about the adverse health impacts of 5G. The potential for an acrimonious, frustrating meeting was high. Those who regularly attend city council and planning commission meetings have become accustomed to having individual speaking time shortened to sometimes 90 seconds; to having concerns fall on unresponsive ears; to having decisions reflect applicants’ needs and rarely the public’s. Not at this Planning Commission meeting! It was the finest of public hearings and a model for such. It is worth writing about since council meetings have been in the public eye recently as much for their process as for their product. Let’s acknowledge that chairing an energized public meeting is never easy. Add to that the plethora of motions, substitute motions, amendments from council members and a chair has to be nimble, informed and patient. The chair sets the tone for the meeting. Too often these days at city council meetings the tone is one of cold condescension, even when the chambers are relatively un-crowded. A curt, “you have two minutes” followed by “times up” and cutting people off mid-sentence when the buzzer sounds have not created a welcoming public space. In the city’s organizational chart, the public is situated at the top with council beneath it. That hierarchy should not be forgotten. Granted there will always be a few members of the public who need to be reminded of decorum at meetings when their passions get the better of them. I’ve been escorted out by a police officer when I declined to stop speaking to try to save a tree which could easily have been saved were it not for council ignorance. I asked the officer to carry my slide projector so you know that was long ago. The many members of the public who spoke at the Planning Commission meeting on 5G were passionate, informed and articulate. All but one spoke of their concerns about 5G and the impact of such on their health, citing research and personal stories. It would have been easy for the commission to cut them off, to clarify that those topics were not on the agenda and limit speaking time to two minutes with a “next” moving them along like cattle. That did not happen. Rather, when one speaker requested 3 minutes, it was granted and that time extension became the norm despite the long line of speakers. A genuine thank you was extended to each speaker and to the public in attendance. When it came time for commission deliberations, the points raised by the public were referenced and responded to. The two new commissioners pursued questions of staff until answers were clear and understandable to all. Within the limits imposed by the Feds the best that could be obtained was a maximum of 1500 feet between antennae. In the atmosphere of respect for the public, the public gave the commission a round of applause, despite health issues not being on the table. To round out this positive event, the meeting was televised on Community TV (photo of the meeting). That effort took almost a decade to achieve ever since my John noticed that every city in the county except ours broadcast their Planning Commission meetings. Years of requests of staff and council members were ignored until now, with a new council majority, which recently voted to televise the meetings. If the Planning Commission meeting of March 14th is the new norm, we have a lot to be thankful for in local politics. There’s a lot going on this spring, I hope you are getting out to see the buds turn to flowers as you go from meeting to meeting. A friend recently mentioned, “Yeah, right after the clocks sprung ahead summer started, blue skies and seventy-five degree days, what’s not to like?” Well, the city council had another marathon session last week beginning closed session at 10:45am sharp, and ended a few minutes after midnight. Some of the highlights were that the council heard from our labor negotiators and then later that evening one of the Service Employee International Union (SEIU) bargainers, Ted, who negotiates for over 450 city workers who make up the largest part of the Santa Cruz workforce thanked the council for the offer. Now it goes out to the rank and file for ratification, or rejection. On the affordable housing front, we heard a bit about the Shelley Hatch-Ron Pomerantz law suit demanding “the city” enforce the popular 1979 Measure O vote that says all development should include a “15% inclusionary” (affordable) piece in every project. This case continues to unfold. Then, on a 7-0 vote the council decided to set aside $30,000 for legal services for Santa Cruz renters who may require legal assistance with their lease, an eviction notice, or getting stuff fixed in their apartment. It was a major victory for tenants, albeit relatively paltry in terms of real dollars, but it did catch a sometimes-divided council showing unanimity and acting in favor of tenant legal protections, walking the social justice walk and not just talking about sky-high rents. rightwing governments in Philipines, Brazil, and Hungry, all Friends of Trump? Three actions by the council happened this week involving city commissions, Parks and Recreation and Planning, highlighting the potential role commissions can play in moving our city forward. When talk of eliminating Harvey West Pool positions, ones that had not been filled for 10 years, came up on the agenda, city councilmembers voted to preserve them and requested that the Parks and Recreation Commission weigh in on status of the Harvey West Pool. For years, the community has wondered why this resource, which sits inside of a beautiful park, is so severely underutilized and run by an outside vendor. I fully expect that parks commissioners will get to the bottom of it and perhaps send it back to the council with information and a budget that we can then chew on during our city council May budget deliberations. We also sent a request to the Planning Commission that they look into two planning issues: the status of the “corridors plan” (some days it is dead, other days it appears all but ready to come back to life…), and the Golf Club Drive “400 units per acre” General Plan amendment that so disturbs many of us who desperately wanted the preservation of an urban-rural transition and not luxury condos built right up against the Pogonip greenbelt. In addition, in a special meeting last Thursday night the Planning Commission took up the nasty, ugly, brutish, and short-sited implementation jiu-jitsu cell plan of corporate America, namely Verizon’s attempts to place cell phone boxes, towers, and fake antenna trees throughout Surf City. This particular case was the placement of one of their cell “radiation boxes” at 117 Morrissey Blvd. With 21 residents voicing opposition in the face of Federal Communications rules that virtually mandates city approval of all things Verizon. The commission at least recommended to the city council that these cell contraptions be placed at least 1500 feet apart instead of the city staff recommended 300 feet. With 5G on the way, cities across California must work through their Washington, D.C. elected representatives to stop telecom companies from having their merry way. This will truly be a David vs. Goliath struggle. But, we did prevail on seat belts, cigarettes, asbestos, and the 8-hour work day. This battle may be right up there for the real control of OUR airwaves. This week it will be the Transportation and Public Works Commission taking up lighted-up cross-walks (Branciforte near Berkeley Way). Not really spell-binding stuff, unless it is taking place in your neighborhood. Stay tuned. c) Request that our Federal representatives working in coordination with those neighbors affected by the raid, the Santa Cruz Police Chief, Santa Cruz County Sheriff, ACLU representative, civil rights attorney, Santa Cruz Community Liaison, US Congress member, US Attorney from San Francisco, and members of the Santa Cruz City Council and the Third District Supervisor, conduct a “Community Conversation,” open to all members of the public. The mayor is now to appoint a city council subcommittee to work on putting this meeting together. The city council punted and placed any real action with respect to homeless services onto the March 19th special council meeting agenda. The big issues were whether to not declare, but extend, the current “shelter crisis” declaration along with finding a couple of alternative tent sites to the current Camp Ross, which is located near the intersection of Highway 9 and River Street. The houseless campers appear to be organizing. I hear there is a “Five-member Camp Council” negotiating with whoever will negotiate; and a lawyer came to the camp to let everyone know what their rights are vis-a-vis their impending displacement by the police through the actions of city and county electeds. I will report back more next week pending council action, or inaction, on this most pressing issue. And organize they did this past Sunday! More than forty activist-types gathered near downtown Santa Cruz to celebrate some of the early victories of this new city council–bus vouchers for all downtown workers, special session on downtown parking and housing, restoring oral communication to 7pm, a renewed conversation about the Harvey West Swimming pool, and the beginnings of a housing task force were a few of the issues cited along with other progressive changes. Planning for future initiatives was also on everyone’s mind. Present were members representing a variety of the Santa Cruz democratic left community: SC4Bernie, Sierra Club, YARR, CFST, Downtown Commons Advocates, DSA, SCCAN, SaveSC, and SanctuarySC. It was as much an informational share as it was a collective political brain storm. The three-hour session began with a local attorney’s tutorial on the Ralph M. Brown Act(California Government Code 54950) followed by report backs from four subcommittees of this group (this being the third “Community-Council” support meeting). The report-backs were from Save Santa Cruz, the Anti-Gentrification-Ordinance Drafting Group, the Downtown Commons Advocates, and the Democratizing and Expanding the Vote for non-citizens, 16 and up group. Other committees were organically forming during this session: a “Council Budget Committee,” a “Climate and Bio-Diversity Committee,” and a “Cop Watch Committee.” Public banking, a renter commission, and data collection committee were other topics broached during the session. These city council support committees will be getting together and reporting back to this larger group–Council Community Group–in at its next meeting in one month. P.S. The Bernie campaign is walking the walk. It’s the first ever Presidential campaign to unionize and this initiative calls on all political campaigns to unionize and pay a living wage to often over-worked (overtime?) campaign staff people. Do you think the others, at least the Dems Greens and Peace and Freedom, will do it? A POSITIVE CHANGE FOR FUTURE SWENSON DEVELOPMENTS? I attended the Wednesday evening public open house last week at Live Oak Elementary School, when Barry Swenson Builder hosted a public open house to gather feedback on the proposed HARBOR VILLAGE development at 7th and Brommer, above the Santa Cruz Harbor. I think it was a big step forward in a good direction for the Swenson team to hold such a meeting, with a repeat on Saturday morning, and even talk with the public. There was food available, and representatives were scattered at presentation boards to talk with people, writing down their comments on a large tablet. The County Redevelopment Successor Agency owns the land, and by state law, must sell it within the next couple of years, giving the proceeds to fire departments and school districts. 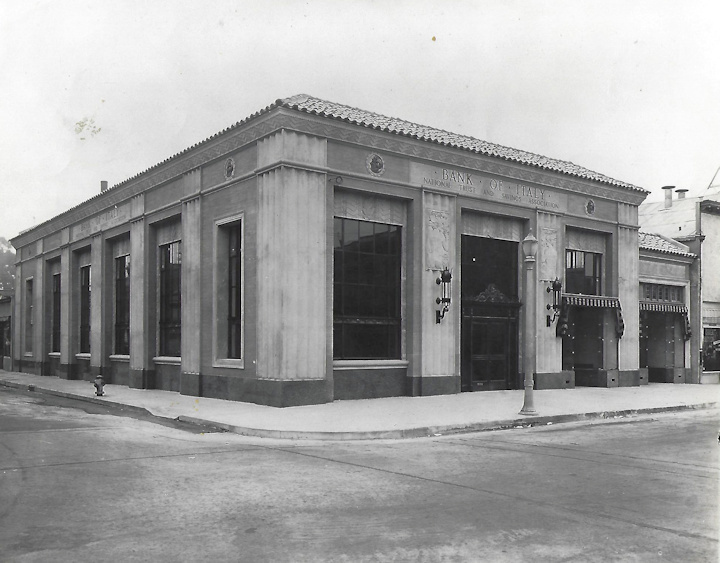 The value of the land seems to be hinged with what a developer could build there, and Swenson was the only developer to have had any apparent interest in the project. In April, 2017, the County held a public meeting to gather peoples’ ideas about what they would like to see done on this parcel. The people spoke loudly that they did NOT want a hotel…but there is an exclusive hotel planned, along with tent spaces, tent cabins, and two and three-story condominiums. Parking? Traffic? What about the parking spaces that the fishermen use there currently during salmon season? The people spoke clearly in 2017 that they wanted that preserved to serve the local fishermen…..but it is absent from the proposed development. Let’s hope the Barry Swenson Team keeps up the good work at holding public meetings, and let’s see what public input gets reflected in the designs…. WHAT IS THE COUNTY’S PLAN FOR AFFORDABLE HOUSING IN A GENERAL PLAN UPDATE? One of those is the Nigh Property, 5940 Soquel Avenue, and would provide a spot for 102 affordable housing units on 5.1 acres. However, in this time of AD HOC PLANNING by developers, it is currently in the process of being changed over to the five-story Kaiser Medical Clinic and a separate 720-car parking garage. Planners are allowing the Kaiser developers to determine where to relocate those 102 affordable units, and will allow them to be built in multiple clustered locations. Hmmm…… I will be curious to see the Environmental Impact Report for that mess. Also in the report to the Planning Commission was a tally on page 11 (Exhibit B) of the affordable housing units according to levels of affordability. Note that there has been ZERO for the Measure J deed-restricted very low income since 2016. That pretty much coincides with the Board of Supervisors making a change to allow developers to just pay money to the Planning Department instead of building affordable housing. Luckily, the Board recently changed that for applications of 7 or more units and now will require 15% to be built for deed-restricted affordable units. But wait, look at which income level has been getting the affordable housing built…it’s the above moderate income level. This trend is evident in the information on page 11, but is glaring on the last page of the report (page 25) showing ZERO deed restricted affordable units for very low, low and moderate, with only 4 non-deed restricted for moderate, and 12 for above moderate income levels. Shouldn’t the County’s housing policies be a bit more inclusive of all income levels? The Planning Commission made note of this information, and approved the report for recommendation to the Board of Supervisors. Watch for that, and plan to attend. Hold on, because it seems the State legislators are on a roll, with over 200 pieces of proposed law that would demand cities and counties build, build, build, and have less control at local level about what developers could build. SB 50 (Sen. Scott Wiener) would make it easier to build apartment buildings and condos by ELIMINATING minimum parking requirements and raising height restrictions if within 1/2 mile of job centers and public transit stops. SB330 (Sen. Nancy Skinner) Would prohibit cities with high rents and low vacancy rates from placing moratoriums or other restriction on housing construction until 2030. Would limit the approval process for projects to three public hearings and require that cities make a decision within one year. AB 725 (Assemblymem. Buffy Wicks) Would impose new restrictions on housing for high-income residents that cities and counties must plan for under their state-mandated regional housing goals, so that no more than 1/5 can be single-family houses. AB 1279 (Assemblymem. bloom) Would designate certain communities, with low-housing density where developers could more easily build apartments and condominiums complexes for low and middle-income earners. Would charge a fee on more expensive projects in those areas to fund affordable housing. AB 68 (Assemblymem. Ting) Would override city ordinances that require a minimum lot size for secondary units, such as cottages and basement apartments, or restrict those units to less than 800 SF. SB4 (Sen. McGuire) Would streamline the approval process for small multifamily housing projects in cities and counties with unmet housing needs, excluding coastal zones, historic districts and areas with high fire risks. Would also ease the development of apartment buildings and condos. up to one story taller than existing height limits within 1/2 mile of transit stations. Read the full article in the March 5, 2019 San Francisco Chronicle here. I am troubled by the increasingly heavy-handed state mandates that take away the power from local people to decide what their communities will look and feel like….and what their future quality of life will be like. Water? Traffic? Sanity????? And here is a plan to fund it… featured in the Mercury News earlier this month. WRITE ONE LETTER. MAKE ONE CALL. ATTEND A PUBLIC MEETING. MAKE A BIG DIFFERENCE. BUT JUST GET SCRAPPY AND DO SOMETHING! Capitalism is an ideology of capital –- the most important thing is the concentration of capital and to seek and maximize profit. And that comes at any cost to people and to the environment, so to me capitalism is irredeemable. 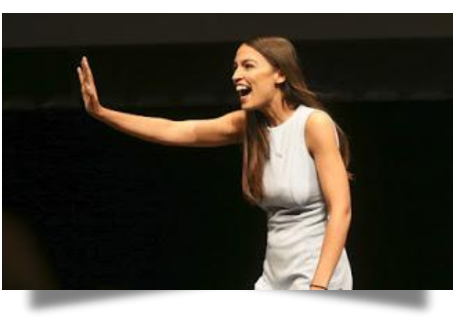 Ocasio-Cortez then goes on to say, according to the Bloomberg article, that she does not think all aspects of capitalism should be abandoned. The headline, in other words, is probably not a completely fair or accurate representation of what Ocasio-Cortez either thinks, or has said about issues related to capitalism. One way to look at it, in fact, is that we can only find out whether or not the current system is “irredeemable” by trying to redeem it – by trying to make those incremental, step by step, changes that people like Ocasio-Cortez, and Bernie Sanders, and Elizabeth Warren are advocating. Let’s focus on the specifics, not on the “system,” and let’s get to work. There is an awful lot of very specific work to do! 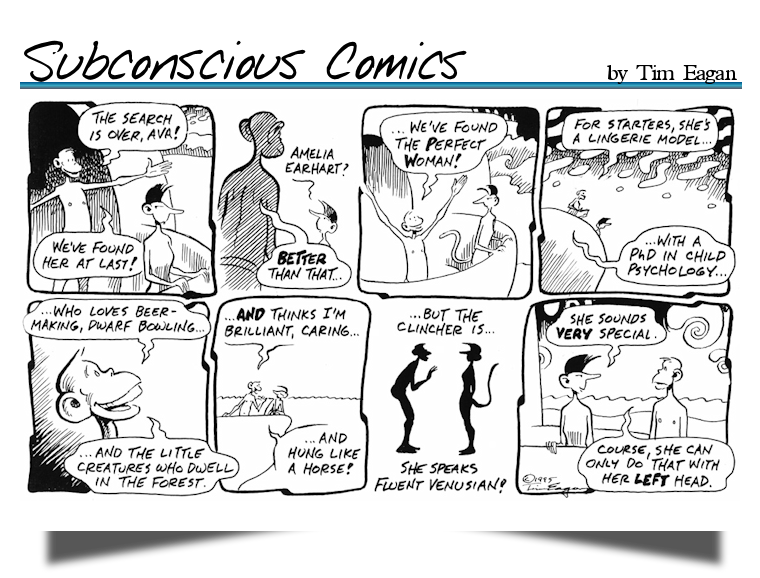 EAGAN’S SUBCONSCIOUS COMICS. Tim’s weekly journey into our driving machine pulls your strings and all your other parts. Scroll below. EAGAN’S DEEP COVER. 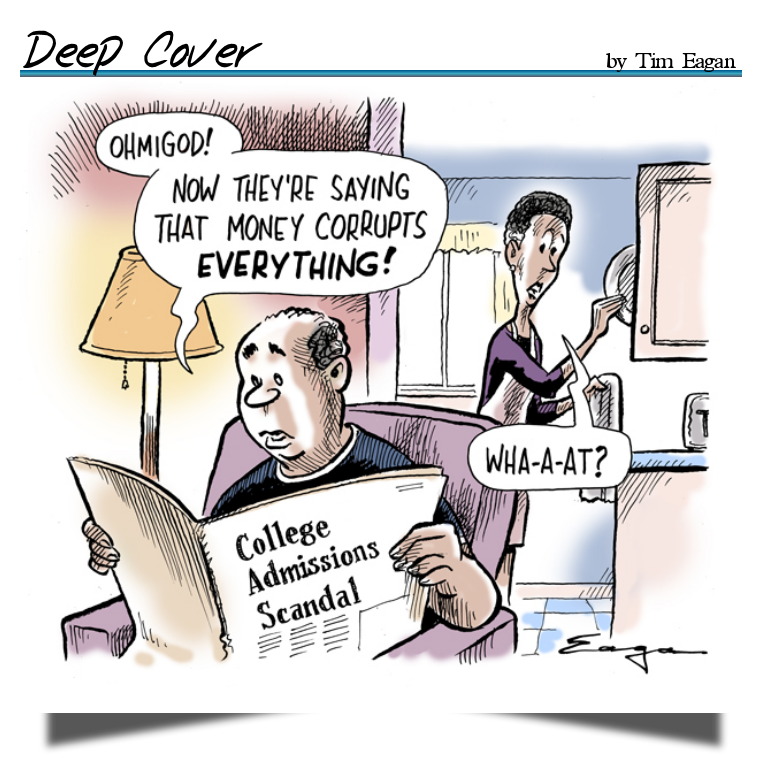 See Eagan’s “Money Corrupts Everything” down a few pages. As always, at TimEagan.com you will find his most recent Deep Cover, the latest installment from the archives of Subconscious Comics, and the ever entertaining Eaganblog. ESPRESSIVO ORCHESTRA. They are calling their next concert “Romanticism — Morning to Evening“. Espressivo is a small, intense orchestra that concludes its fourth season at Peace United Church in Santa Cruz on Sunday, March 31st, at 3 p.m. The program of late-Romantic music includes Richard Wagner’s “Siegfried Idyll,” Arnold Schoenberg’s “Chamber Symphony,” and Antonin Dvorak’s “Serenade for Winds, Cello and Bass.” The professional orchestra will be conducted by Michel Singher, founder & Artistic Director. Tickets at www.EspressOrch.org, and at the box office. Is the third concert this season presented by the Santa Cruz Baroque Festival. It features Margaret Martin Kvamme, and Vlada Moran, on the organ, Saturday, March 23, 2019, 7:30 pm Peace United Church of Christ, 900 High Street, Santa Cruz. A pre-concert talk begins 45 minutes before each concert. LISA JENSEN LINKS. Lisa writes: “Big thanks to everyone who turned out for my book talk last week at Porter Memorial Library. It was delightful to meet you all! In case you missed it, you can read all about it this week at Lisa Jensen Online Express ( http://ljo-express.blogspot.com ). Also, find out why Anglo-Indian actor Dev Patel is having a moment — even though his new movie, The Wedding Guest, doesn’t quite register. ” Lisa has been writing film reviews and columns for Good Times since 1975. THE WEDDING GUEST. Dev Patel (still learning to act, after his shameful start in Slumdog Millionaire) stars in this wartime travelogue set in India and Pakistan. Patel is supposed to be a hired kidnapper, but we never learn enough about whom, what, or why all this back alley stuff is happening. Fine photography, Patel is getting better…but save your money. CLIMAX. If you watch this film not knowing that it was created by Gaspar Noe (who directed Irreversible and Enter The Void) you might not like it at all. You just wouldn’t judge it the same way, and I didn’t. It’s about a dance group who has a party after a rehearsal, and somebody laces their punch with LSD. The rest of the film is upside down, backward, and has closing credits in the middle of the film. You are supposed to feel like you’ve had LSD. CLOSES March 21…and that’s a good thing! NEVER LOOK AWAY. Warning…this film is 3 hours and 9 minutes long and is based on a still famous German contemporary artist’s life. 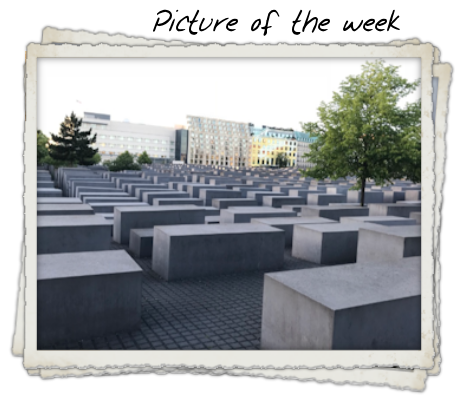 It’s full of Nazi politics, artistic statements, and it’ll make you think constantly. Not a great film but I call it courageous, because it is absorbing and well made. The real artist’s name is Gerhard Richter and none of us can afford his paintings today. QUOTES. from Donald Trump ! !